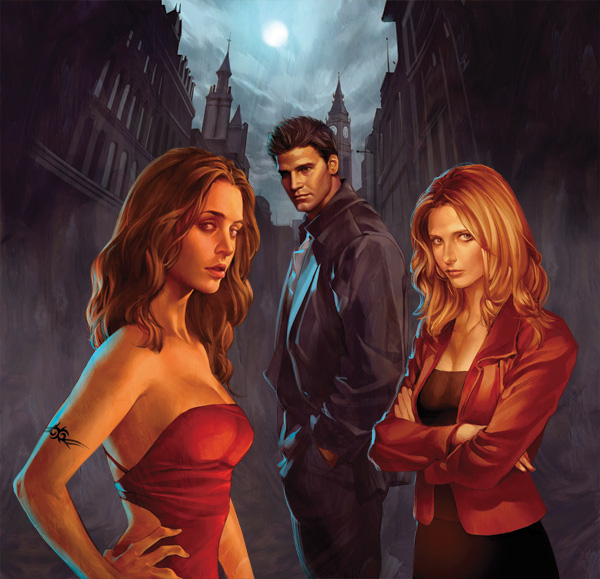 Promo image from “Buffy” season nine’s “Angel & Faith” series. Facebook’s newest friends are Buffy and Angel. The licensing pact comes amid Facebook’s rollout of a new social viewing experience it is calling Watch Party, which gives users the ability to watch a show together with a friend even when they aren’t in the same place. Earlier this week, Facebook made Watch Party available to all profiles and pages. Buffy premiered in 1997 on The WB and developed a devoted fan base over its seven seasons. A spinoff starring David Boreanaz’s character, Angel, debuted in 1999. Firefly was Whedon’s non-Buffy follow-up, and although the Nathan Fillion vehicle only lasted one season, it has attracted a cult following. All three shows also are available to stream on Hulu. Until this deal, traditional TV licensing had not been a factor in Facebook’s video strategy. Even without bulking up on library fare, the company’s Watch video platform features an array of shortform series from its partners. Meanwhile, it has also begun to pick up a handful of premium scripted and unscripted shows like Queen America starring Catherine Zeta-Jones and Red Table Talk hosted by Jada Pinkett Smith.